Ongoing efforts statewide hope to bring a historic turnout rate of young voters to the polls for the November midterm elections. 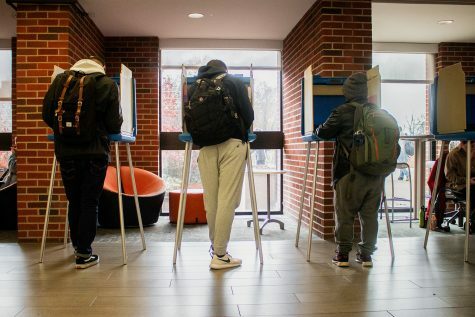 In an effort to draw a historic turnout of young voters to the polls in the 2018 midterm elections, groups around the state are surging to college campuses in Iowa to register and engage students. Iowa’s largest voting bloc — 18- to 35-year-olds — has historically had the lowest voter turnout rate in the state. 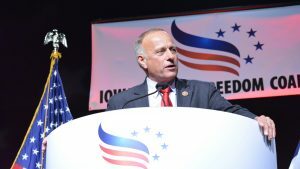 But with all of Iowa’s executive officer positions, all four of the state’s seats in the U. S. House of Representatives, half of the seats in the Iowa Senate, and all 100 seats in the Iowa House of Representatives up for election, groups are eyeing the impact the youth vote could have if they turnout. A higher youth turnout for either party could sway the outcome in at least two Iowa races, including the gubernatorial race between Gov. 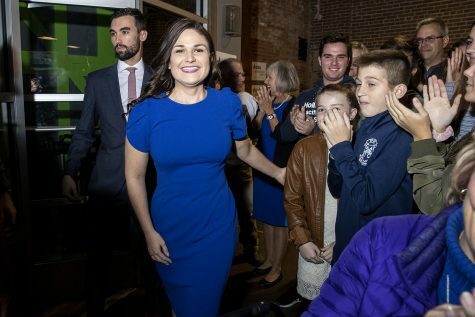 Kim Reynolds, a Republican, and Democratic candidate Fred Hubbell and Iowa’s 1st Congressional District race between Republican incumbent Rod Blum and Democratic challenger Abby Finkenauer, according to a nonpartisan analysis group, Tufts University’s Center for Information and Research on Civic Learning & Engagement. 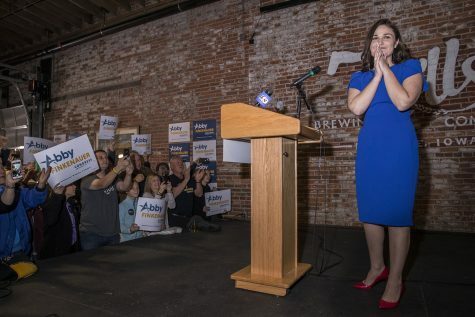 Many say if young voters turn out to the polls this year, Iowa politicians may focus more on the interests of young Iowans while in office and on the campaign trail. The question remains whether efforts by political engagement organizations will be enough to draw young voters to the polls come Nov. 6. Registered voters between the ages of 18 and 35 compose 28.3 percent of Iowa’s nearly 2 million registered voters, making them the largest voting bloc in the state. However, in 2016, Iowans ages 18- to 34-years-old had the lowest voter turnout rate compared with other age cohorts in the state. Nineteen-year-old Abbey Wilson, a University of Iowa sophomore, said she will cast her vote because she supports a woman’s right to choose to have an abortion and gun control. Wilson registered to vote at a NextGen America event, though she said she is still undecided on the candidates. UI senior McKenzie Musser, another undecided voter, updated her address at a voter-registration table so she could vote in the upcoming elections. Musser voted in 2016 and wants to make her voice heard again on the issues that matter to her, including affordable health care and gun control, this November. With previously low turnout in mind, groups around the state are working to engage young voters in time for the upcoming election. 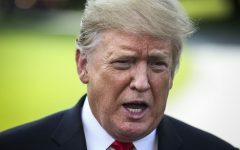 But sustaining youth interest in nonpresidential years remains difficult, said University of Northern Iowa political science Professor Christopher Larimer, whose research includes voter turnout and Iowa politics. He said campaigns are more likely to target older voters with a more reliable voting record. 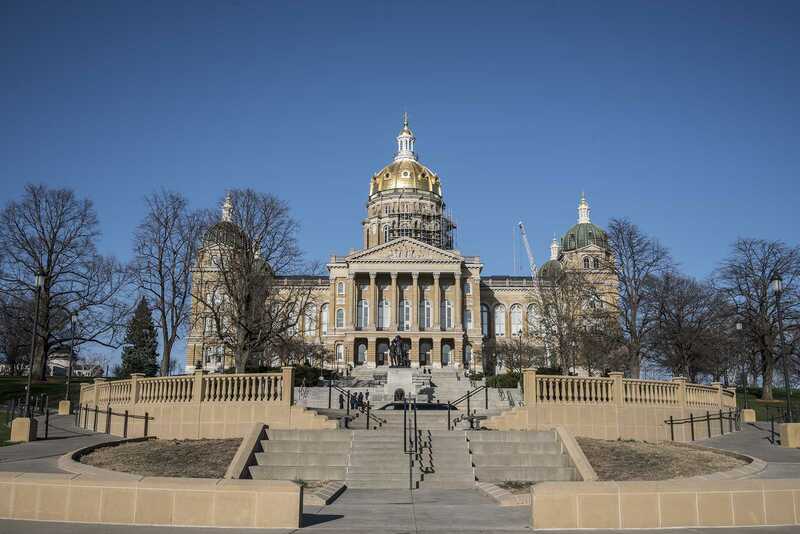 But because young voters are the largest voting bloc in Iowa, Iowa politicians may begin to deviate from issues they’ve focused on for decades, said David Andersen, an assistant professor of political science at Iowa State University. “[Politicians are] going to have to start talking about what millennials want and what problems millennials are facing. That is a very different conversation than what we’ve had before,” Andersen said. 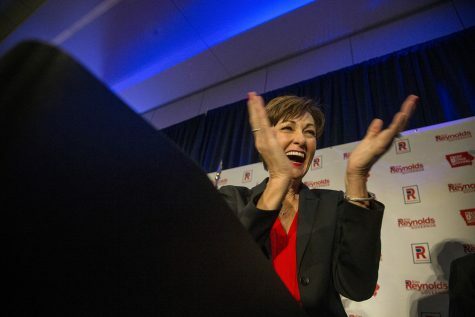 In a neck and neck race for governor, the two major-party candidates’ campaigns said they are working to engage young voters as the future of Iowa. 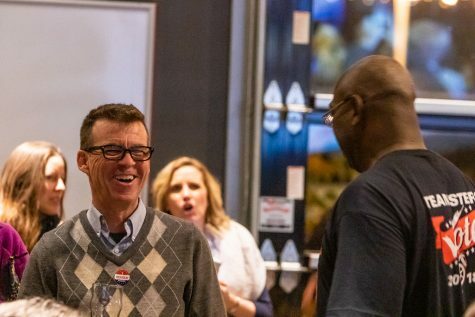 Hubbell said in an email statement to The Daily Iowan that he and his running mate, state Sen. Rita Hart, D-Wheatland, are committed to reaching as many voters as possible across Iowa. 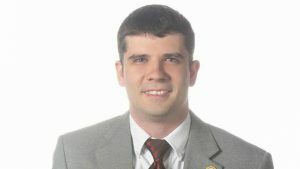 Reynolds’ campaign spokesman Pat Garrett said in an email statement to The Daily Iowan that Reynolds’ policies on secondary training are engaging young voters. Organizers of all parties hoping to engage the youth vote have tabled on campuses across the state. 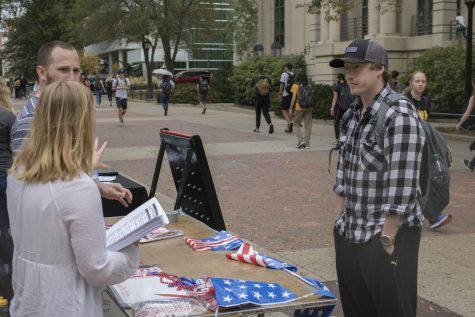 Armed with clipboards, a stack of voter registration forms, witty social-media posts, and free treats, they hope to engage students in the election process. “Young people are the largest voting bloc in America and also in Iowa. If we all vote, we get candidates elected who are going to stand up for issues that we care about,” NextGen’s Iowa Director Haley Hager said. 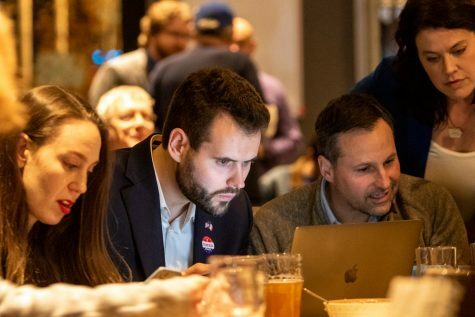 NextGen America, a liberal advocacy group, is active on 41 Iowa college campuses and reported it had registered 12,000 people across the state since March. Hager said the group has worked to engage young voters on issues that matter to them in order to motivate them to vote. 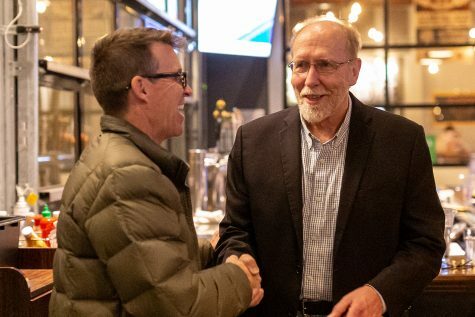 “Having those critical face to face conversations is one of the most persuasive ways we believe in getting young people out to vote,” Hager said. Similar to NextGen’s approach of engaging young voters on issues, UI Student Government Governmental Relations Committee Chair Jocelyn Roof said young voters should consider the ways policy decisions made in Des Moines affect their values. UISG, a nonpartisan group, has registered slightly more than 2,000 people since mid-August. UISG has paired with other organizations, including the Campus Election Engagement Project, to engage the youth vote, and Roof said that collaboration is why she thinks this year’s turnout for the elections will be so successful. As November approaches, groups are focusing their efforts on getting registered voters to turn out to the polls. 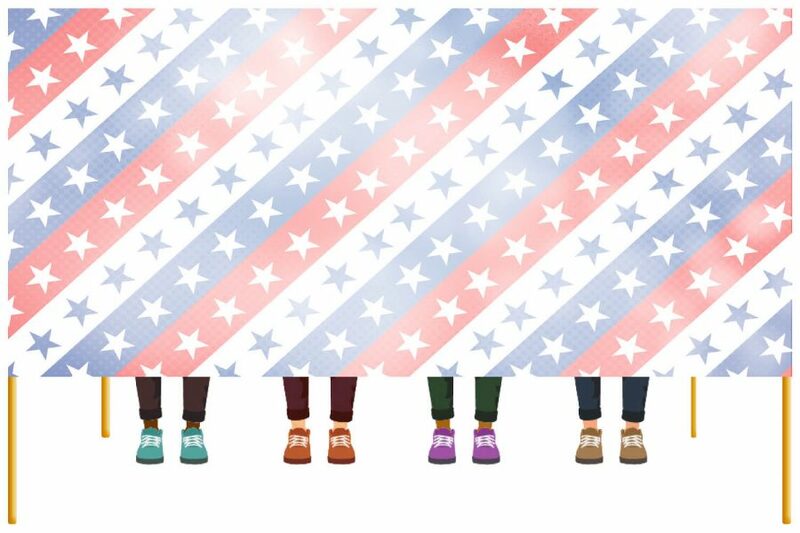 One nonpartisan group working with 20 schools in Iowa, the Campus Election Engagement Project, has prioritized educating young voters about how to vote and emphasizing their vote matters to encourage new registrants to then turn out at the polls. To encourage turnout, UI College Republicans are promoting voting by absentee ballot. The organization stresses the importance of being registered to vote, specifically in Johnson County. 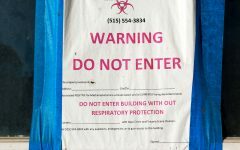 “… It’s great if you’re already registered to vote but if you’re not registered to vote here, you’re diluting your voice here on campus,” Apple said. Will this year’s turnout be historic? As Nov. 6 approaches and efforts to engage the youth vote continue, many are left waiting in anticipation of what will happen in the midterm elections. Roof is hopeful the combined efforts of organizations will result in record turnout and prove that young voters are neither apathetic or lazy. “I just want our campus to turn out in mass and to prove that young people care, and they don’t just care in presidential elections, but they care in the midterms,” Roof said. Andersen, the Iowa State professor, said he feels that young people are engaged now, but that doesn’t necessarily mean they will turn out and vote in November. Until Election Day arrives and the votes are tallied, groups will just have to wait and see.